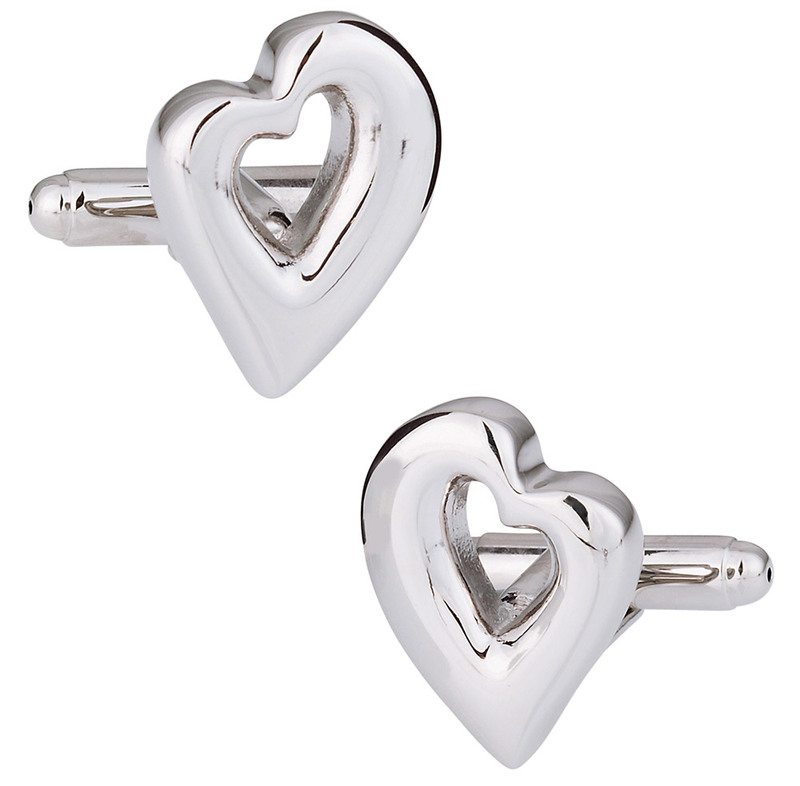 Show your significant other that you care about her, or get ready for Valentine's day with these heart cufflinks. They're silvery and they gleam in direct sunlight. Each of these cufflinks has a hollowed out back and they are designed for comfort even on lightweight shirts. Add them to your outfit whether you're a man or a woman and you'll be able to easily add hearts to your look. It's a classy accent that will fit well when used during the appropriate times. This set isn't likely for formal events, but will show really nicely during less formal occasions or during events that relate to hearts specifically. Heart cuff links are shaped into a memorable heart shaped circle. The silver color brings a touch of glimmer to the product.